This unofficial fan-made guide is unofficial and has no relationship implied or otherwise with the FIA, FOM, Formula 1, or its entrants. 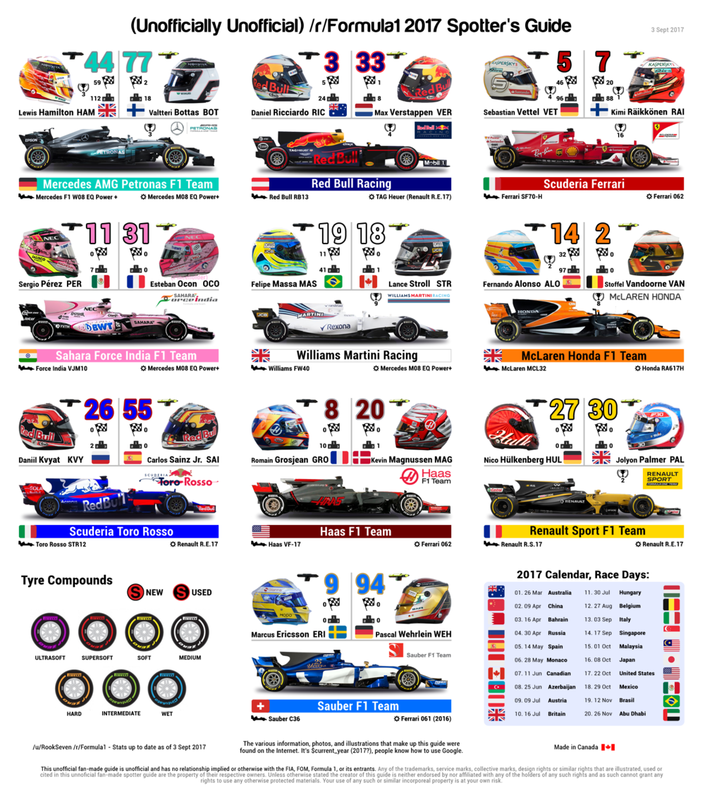 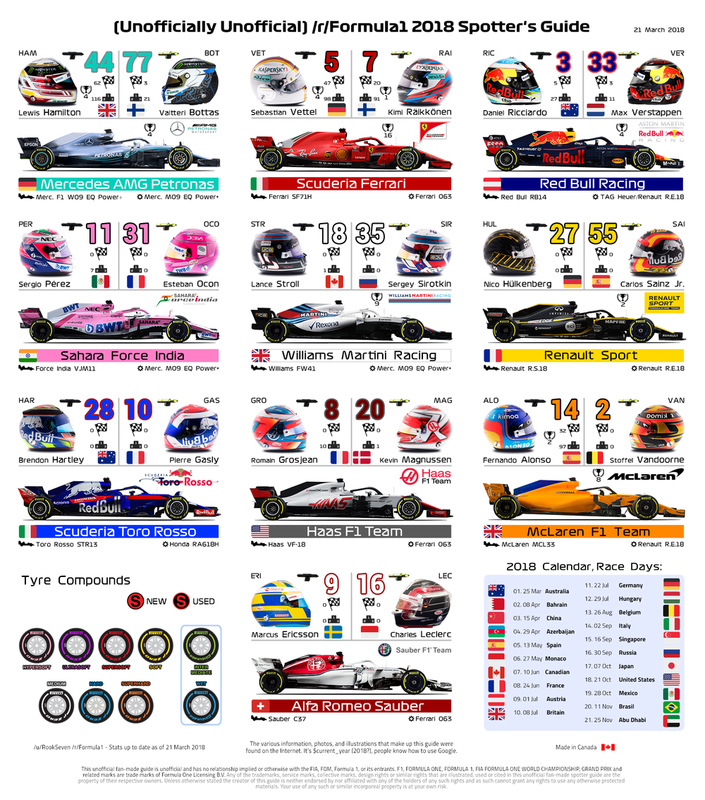 F1, FORMULA ONE, FORMULA 1, FIA FORMULA ONE WORLD CHAMPIONSHIP, GRAND PRIX and related marks are trade marks of Formula One Licensing B.V.
Any of the trademarks, service marks, collective marks, design rights or similar rights that are illustrated, used or cited in this unofficial fan-made spotter guide are the property of their respective owners. 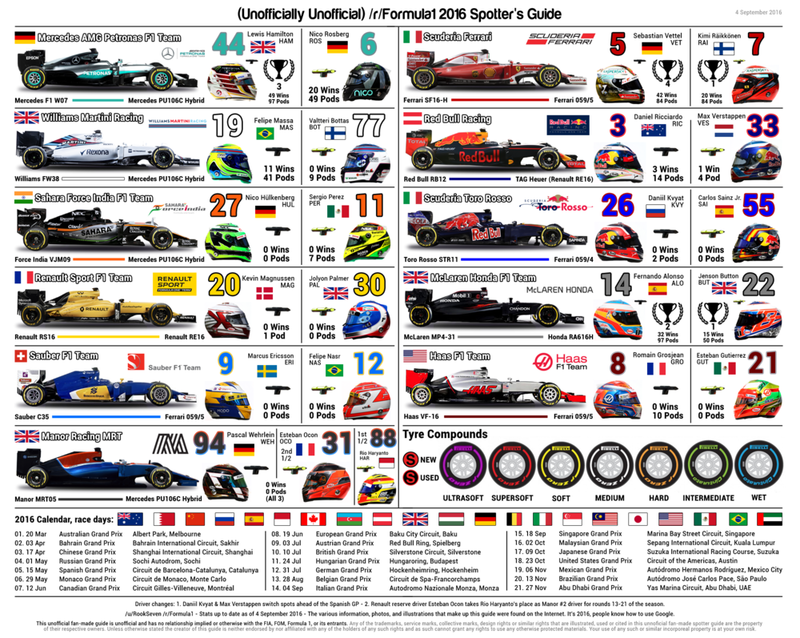 Unless otherwise stated the creator of this guide is neither endorsed by nor affiliated with any of the holders of any such rights and as such cannot grant any rights to use any otherwise protected materials. Your use of any such or similar incorporeal property is at your own risk.